Andrew Gaerte is the Director of Client Relations at the Community Foundation. In this role, Andrew works closely with clients to develop and achieve their charitable goals. He specializes in family philanthropy, planned giving and organization funds and is committed to providing clients with expert philanthropic service and personal attention. Prior to joining the Community Foundation, Andrew worked as the Regional Director of Development for Houghton College in Houghton, N.Y. In this position, he oversaw alumni and foundation development and fundraising for the Northeast region which included Western New York, New England and New York City. Previously, he served as an Education Manager for the Fort Pitt Museum in Pittsburgh, P.A., where he oversaw the establishment of the museum’s education department. Andrew received his B.A. in History from Houghton College. 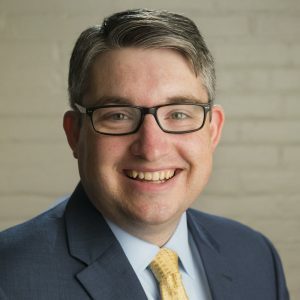 He is a member of the Association of Fundraising Professionals Western New York Chapter and serves on the Leave A Legacy Steering Committee.